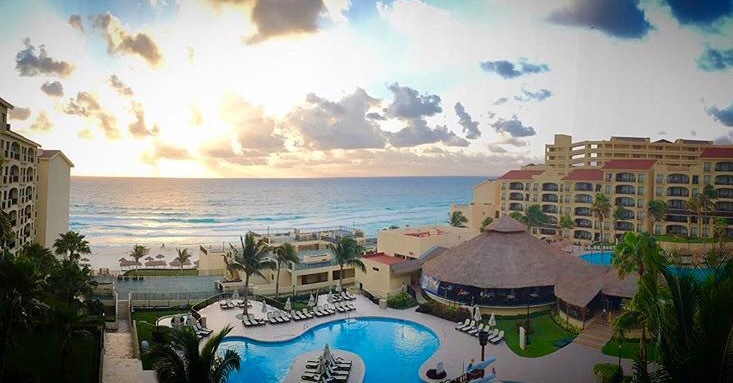 Earlier this year, the Huffington Post encouraged travelers to explore Mexico City over Cancun for their warm-weather tropical getaway, primarily to avoid the throngs of boisterous college students who revel along Cancun’s beaches for spring break and summer vacation. 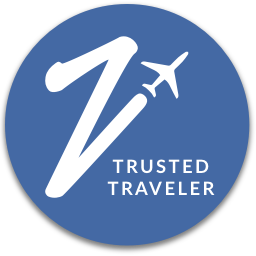 I agree that Mexico City is now a great family-friendly destination and has much to offer by way of history, culture, arts, dining and nightlife (more on that later), but that does not mean Cancun should be dismissed as a party city alone; Cancun, within just a couple hours’ driving distance of historic Mayan ruins, cool cenotes, and spectacular entertainment, is a city that families will not want to miss. 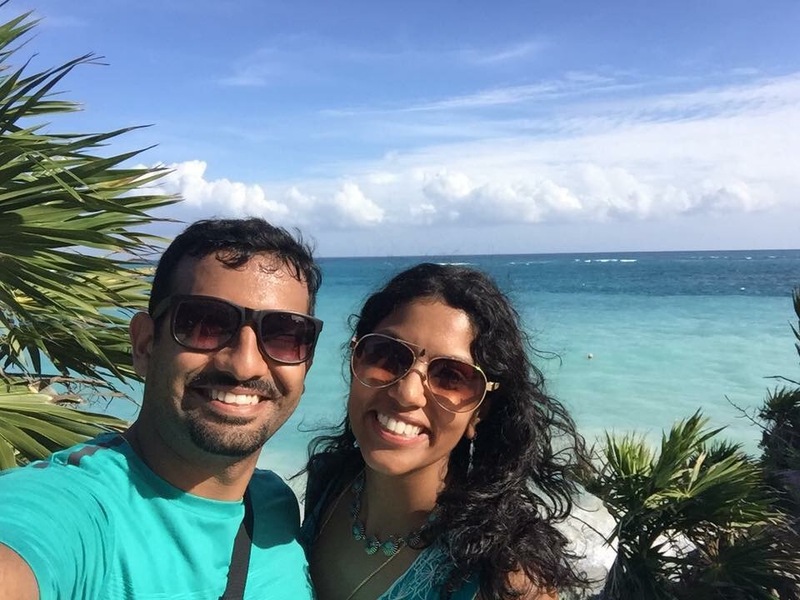 I had the pleasure of visiting Cancun for a beautiful Bengali-Punjabi wedding over Thanksgiving break last year, which I originally thought I would not be able to attend due to it being a peak travel season. However, thanks to affordable air tickets we found on Expedia.com and equally affordable, comfortable, convenient — and even elegant — lodging at the Emporio Hotel and Suites Cancun, which we booked through Travelocity , we were able to make this short and sweet vacation happen while also being part of one of the most glamorous weddings I’ve attended! In just a few days, I was able to enjoy much of what Cancun had to offer— all without touching the tequila. 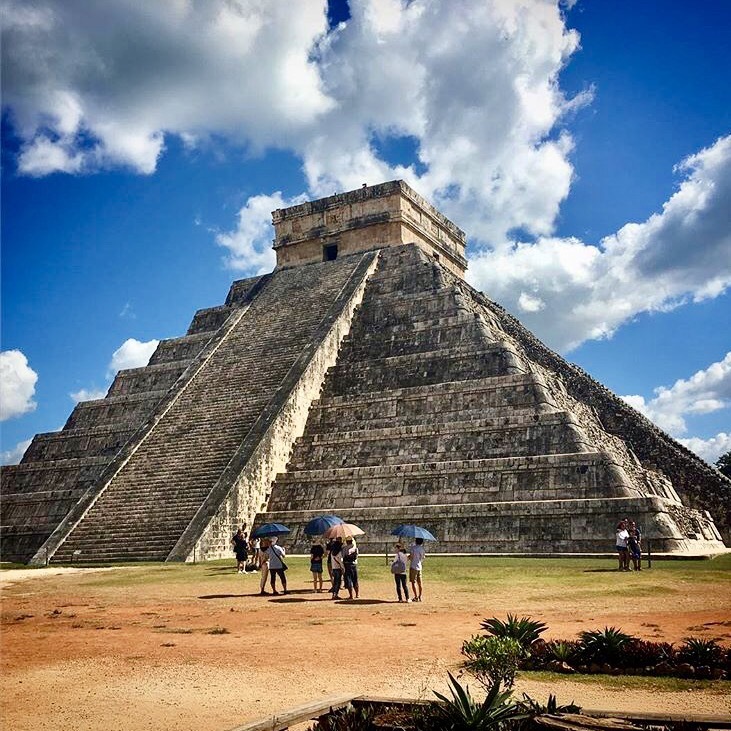 No visit to Cancun is complete without a visit to this ancient Mayan temple ground, a testament to the brilliance of Mesoamerican architecture. A designated UNESCO World Heritage Site, it is made up of what used to be several temple buildings, a marketplace, an observatory (El Caracol) and sports arena (Gran Juego de Pelota) — where a seemingly impossible version of basketball/soccer was played, and the stakes were high: the captain of the defeated team would be beheaded. It took us about two hours in a rented private van to get from the hotel strip in Cancun to the site of the temples, but the vegetation along the road reminded me of the drive down to Key West on the A1A. Plus, my husband could have sworn he saw what looked like a panther dash into the roadside shrubs, though I still think it was probably a stray dog 😛 . The sun was glaring directly above us when we got to Chichen Itza, and there was little by way of shade, so I would recommend taking a hat or even an umbrella, rain or shine, to protect you from the elements. 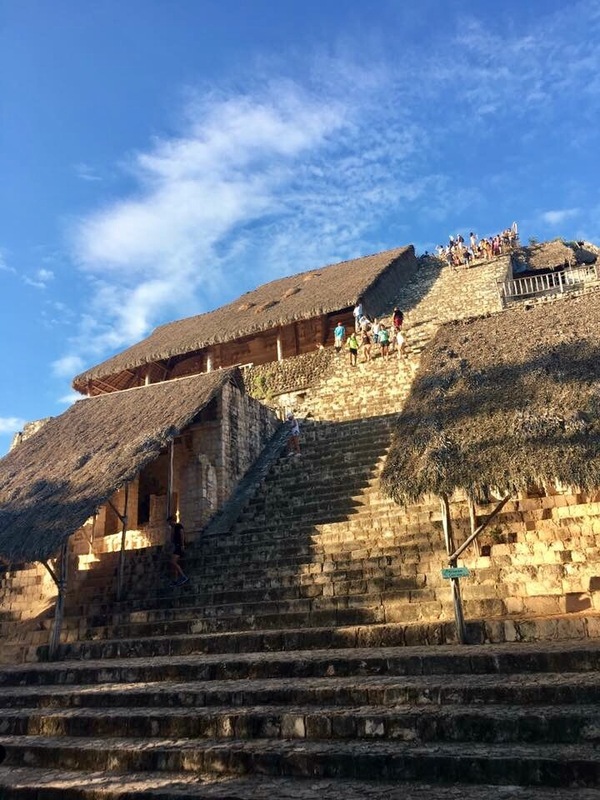 Most people think of the movie Apocalypto when they see the Chichen Itza temples, but things didn’t exactly go down the way they did in the movie, though there were occasional human sacrifices, according to our tour guide. 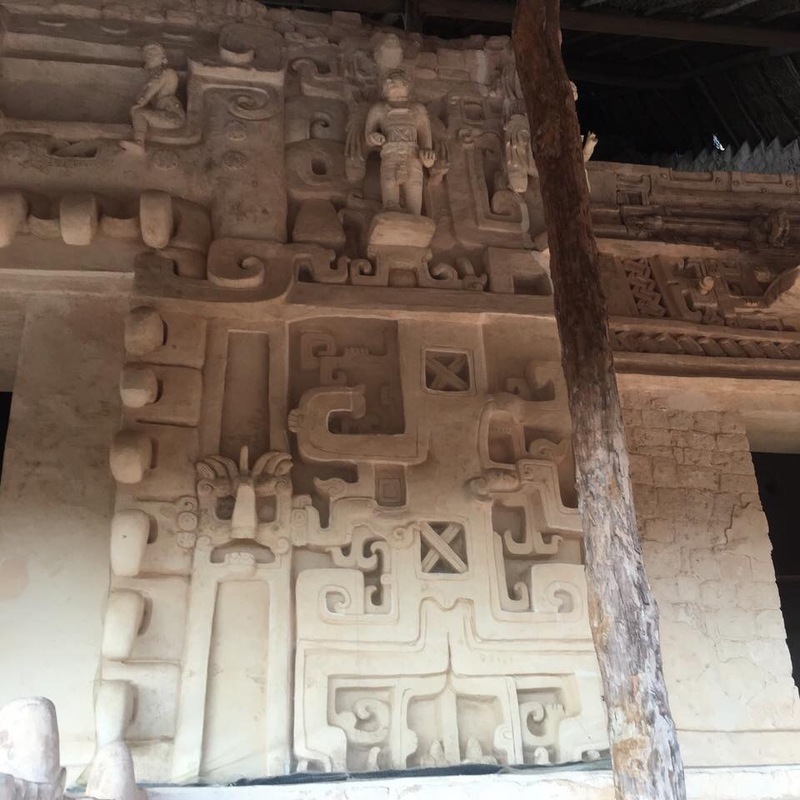 In fact, archaeologists later found the remains of women and children in a sacred cenote, or sinkhole, under the Temple of Kukulkan, named after the Mayan snake deity. Our tour guide noted that virgins and children were thought to be the best sacrifice to the gods since their souls were considered pure. Under the afternoon sun, he pointed out how the shadow patterns that fell along the main steps of the temple resembled the winding body of a snake. Finally finding shade under one of a few trees, we listened as our tour guide mentioned that smaller pyramid structures have been found inside the temples, kind of like Russian nesting dolls encased within one another. But don’t expect to climb any of the temples. 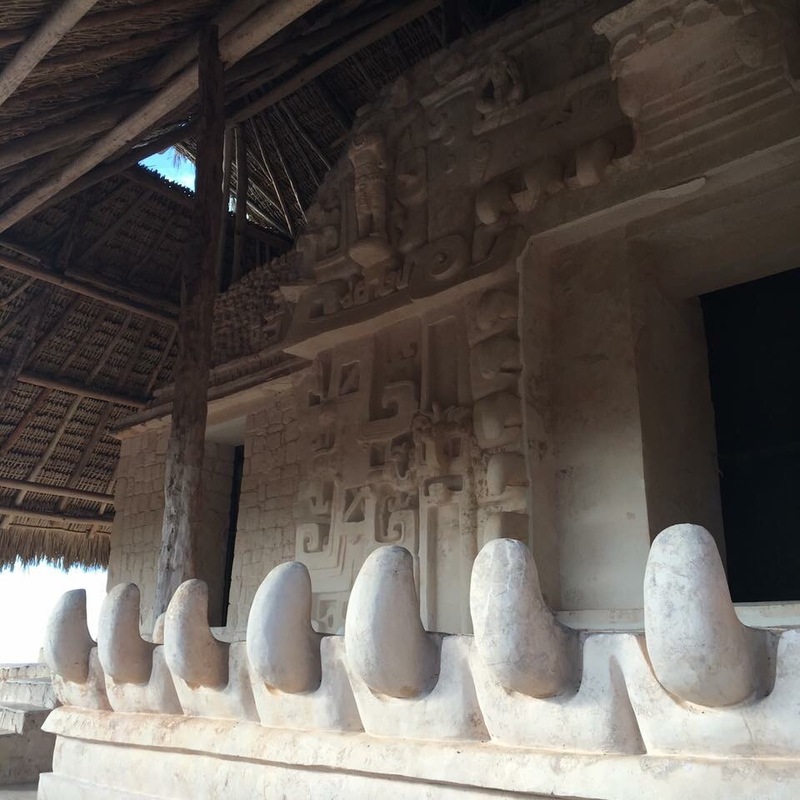 To get your steps in for the day, head to Ek Balam instead. You can just imagine Mayan daily life by visiting what’s left of this village, comprised of about 40 or so structures. 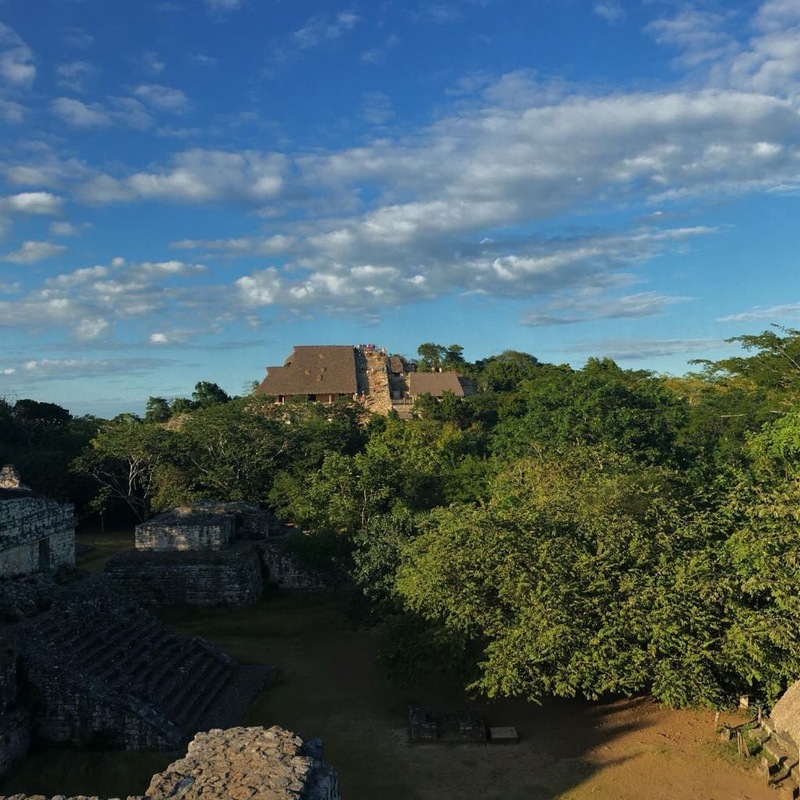 Located roughly 2 hours from Cancun (which we did on the way back to the city from Chichen Itza) Ek Balam’s buildings indicate a temple and palace for governing bodies, and surrounding houses of common people, according to the Cancun Tourism website. The site actually reminded me of some of the Roman ruins, though some structures are still quite intact and you can even climb the steep steps to the top of El Torro, the main tower, for panoramic views of the surrounding village. Our van driver is the one who recommended this spot, but to be honest, I was a bit disappointed since we saw only a few fish. We probably should have tried the underwater museum or island of Cozumel instead, but time did not permit. Here, where we did snorkel, the water was a little too murky, but that could be a one-off experience since the lagoon is known for hosting several varieties of colorful fish. Either way, it’s certainly a relaxing place to take a dip, even if you’re not a good swimmer since it’s protected from the main sea, away from major currents, and the water is shallow. Another benefit here is that there’s tons of shade for those in your party who don’t want to snorkel, and a little restaurant as well. Also, the park wasn’t crowded because they limit the number of visitors who can enter at a time. As we found out, the park does not allow chemicals like sunscreen, so either take an organic sunscreen with you or purchase some the admissions desk when you enter. They have all the snorkeling equipment you need to rent so if you’re not equipped, no worries, they have you covered. This expansive national park was probably my favorite of what we saw in the Yucatan. 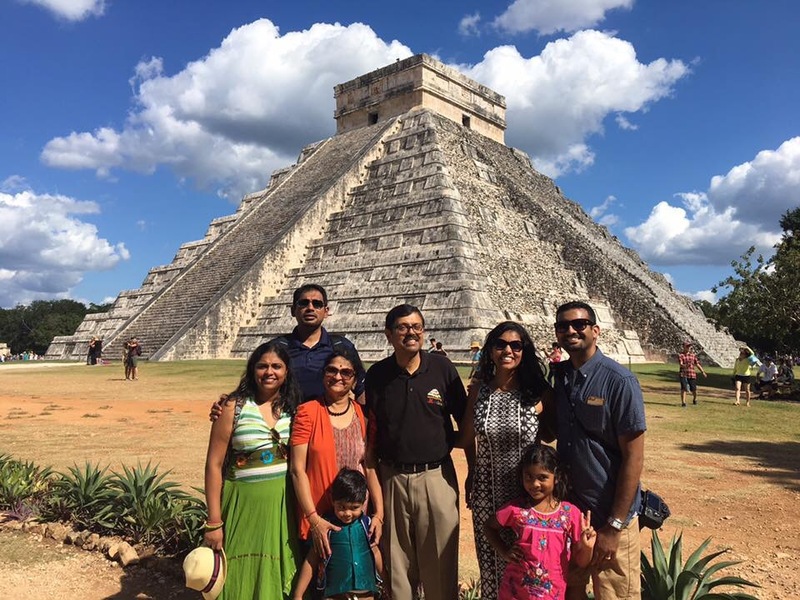 Strategically located, this walled city was once a port and trade center for the post-Classic Mayan civilization. It’s a seaside settlement centered around a castillo, so you get spectacular views of the azure ocean and palm trees juxtaposed with the stone structures and sandy beach. Yet its visual appeal goes beyond the blissful seascape. 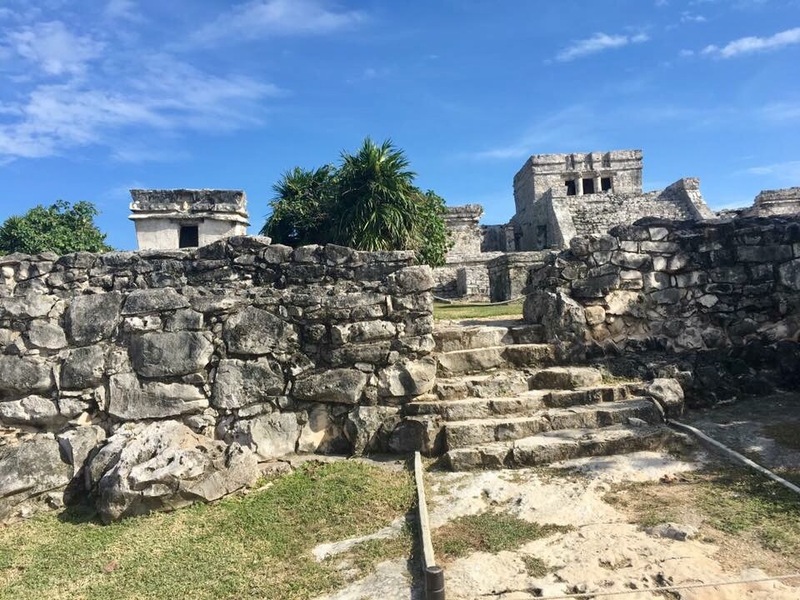 The grounds themselves are landscaped beautifully with gardens, and there are also several cenotes in which tourists can dive into for a swim. Just watch out for iguanas which are rampant on the Tulum grounds and sometimes hard to see since they blend in so well against the gray stone. Trust me, it’s easy to get distracted by the picturesque setting. 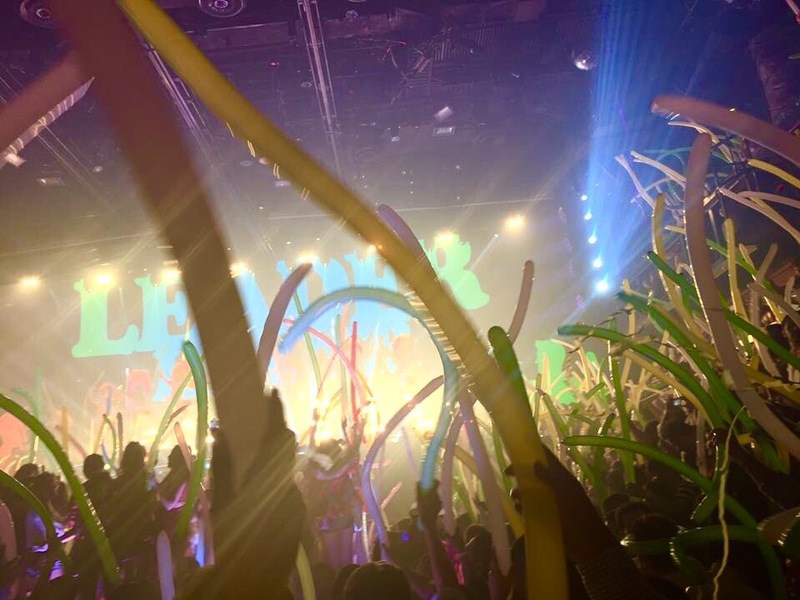 The Cocobongo is no ordinary nightclub. Here, the focus is not about getting your groove on out on the dance floor, though you certainly can if you want. Instead, it’s about taking in the sights and sounds that make this club a treat for the senses. 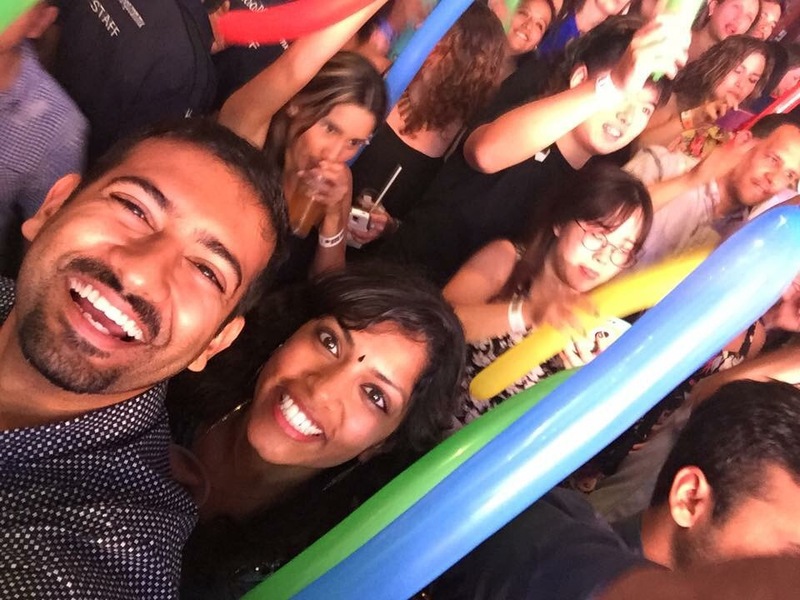 My husband and I were most impressed and surprised by our visit to the Cocobongo, and we got pretty pumped once we arrived despite being drained of our energy levels from the outdoor excursions of the day. 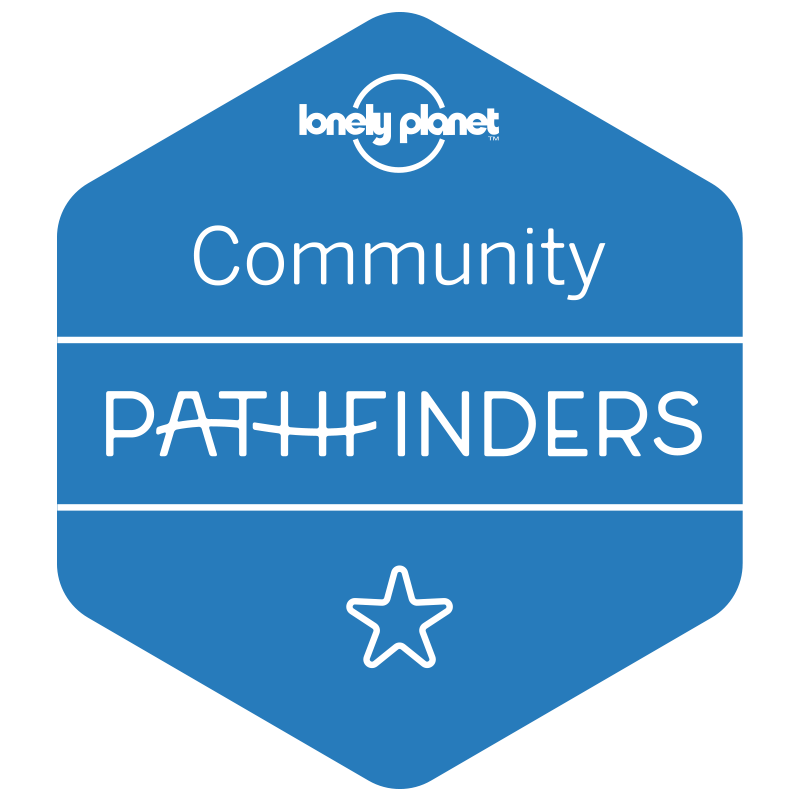 We had looked up popular nightclubs before our trip and this was highly rated, as well as recommended to us by a friend who had visited Cancun previously. We were not disappointed. 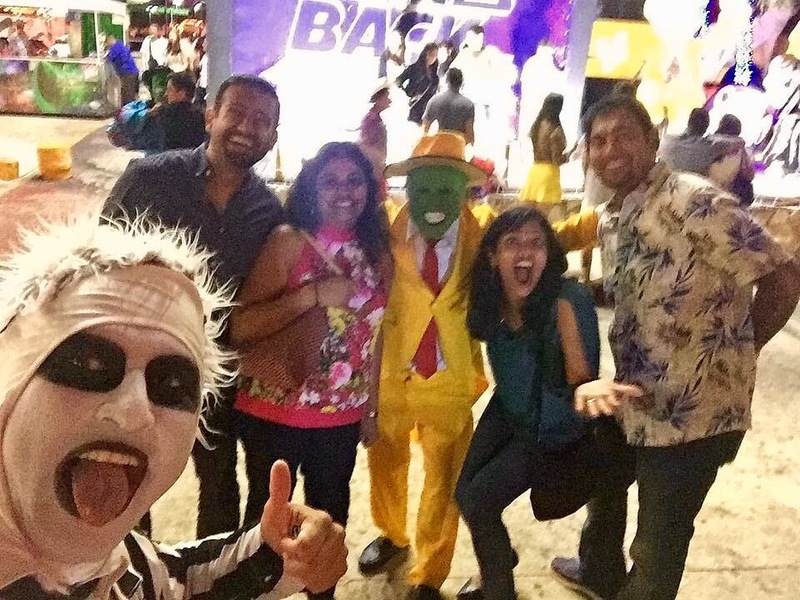 Outside the nightclub, several costumed characters like The Mask, Spiderman and Beetlejuice will greet you and try lure you in for a forced photo-op, and you’ll be solicited by club promoters who will quickly bring down the admission price as you continue to bargain with them. Keep walking, until you hear a number you like. 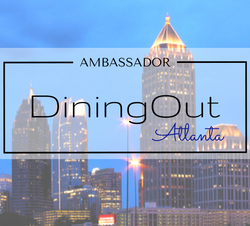 While they will advertise “unlimited” drinks through the night, trust me, you won’t want to waste your time in line at the bar for endless sugary daiquiris when you could be soaking up show instead. The show consists of numerous acts, with performers dressed as showgirls, gladiators, dancing in elaborate choreography and suspended from curtains and sheets draped from the ceiling. Every so often, ticker tape and balloons will shower the cheering crowds in between performances. If you don’t book your ticket in advance, prepare to wear some comfortable shoes because it will be standing-room only. We spent less than two hours here before our feet convinced us to call it a night. We spent the last day in Cancun attending the wedding of our friend at the Cancun Marriott. I have not witnessed a more scenic and elegant wedding of two people so obviously meant for each other. As the bride looked out from her balcony at the wedding guests gathered on the beach, the groom made his entry by jet ski, changing into traditional Indian garb once he reached the shore, and then swiftly hopping onto a white horse for the baraat. It was a fabulous destination wedding in a fabulously versatile Mexican city. 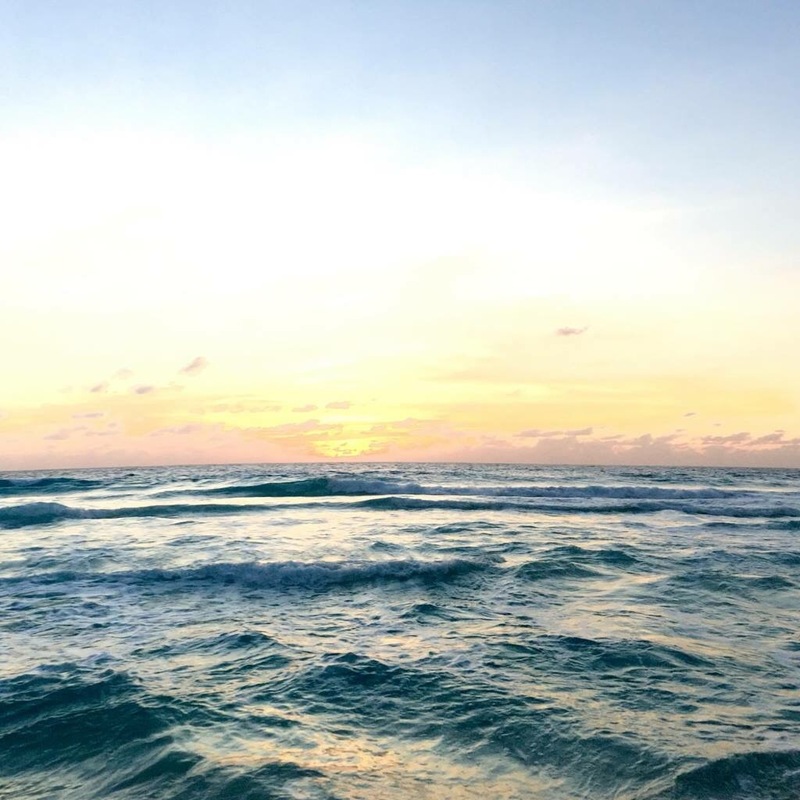 This, all to say, that there is certainly much more to see and experience when visiting Cancun than sunbathing on the beach with a margarita in hand. 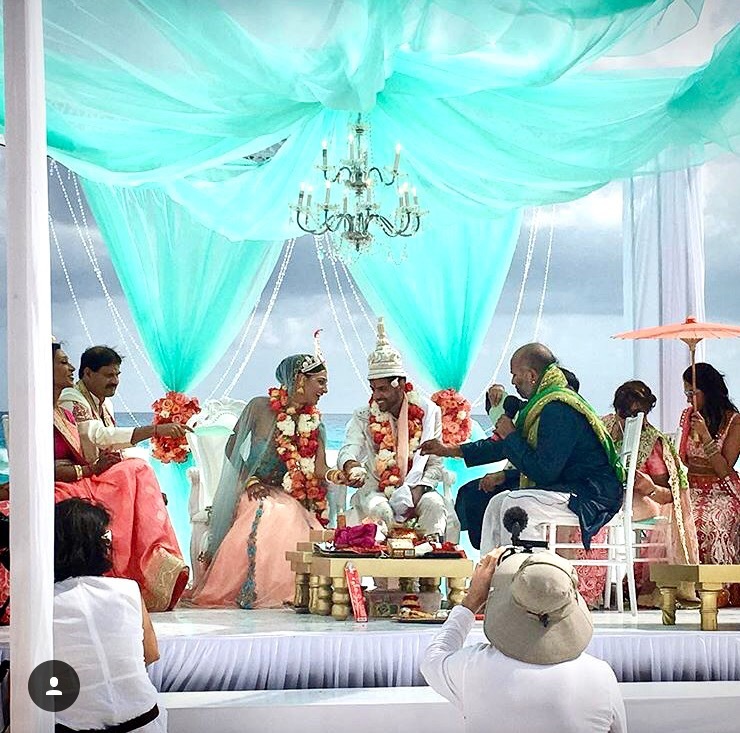 It looks like you had an amazing time, and that wedding looks seriously beautiful! I’ve never been to Cancun but have been to Mexico City. Aren’t the ancient ruins amazing? It was one of the most beautiful weddings I’ve attended! And the bride and groom could not stop smiling at each other! Yes! I have also visited the pyramids at Teotihuacan near Mexico City, and those are truly impressive as well, though that represents the Aztec civilization.